Technically, Moreno has already submitted a letter of resignation to the Speaker of the House, saying she will resign as of May 6, the day before she is sworn in as the new At-Large member of the New Orleans City Council. That set the process in motion for a special election to replace her, which will be held March 24, according to the Louisiana Secretary of State’s office. If necessary, a runoff will be held April 28. Qualifying for the seat will take place the first week of January, from Jan. 3 to Jan. 5. If, theoretically, only one candidate were to qualify for the seat, Moreno said she would go ahead and resign so that the new representative could be sworn in. In the more likely scenario that the seat is contested, Moreno said she will resign after the election is over — a few days after the election is certified. If a runoff is necessary in late April, Moreno said that would put the swearing in of the new representative just a day or two before her own swearing-in on the City Council on May 7. In the meantime, Moreno can still introduce bills, but they must have a co-author, she said. If they are still pending when she resigns, the co-author can then take them over. “I do have a lot of legislative requests, and I’ll start off by handling them, but they’ll be finished by another legislator,” Moreno said. Working in the state legislature has its own learning curve, so joining it in the middle of the session would be no small feat. 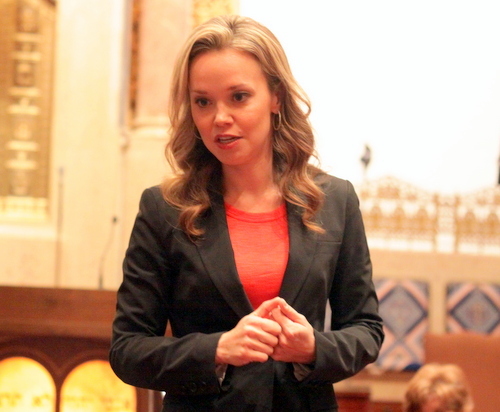 The legislature has a mentoring program, however, she said, pairing more new legislators with veterans — she was mentored by state Rep. Walt Leger, for example, and has since mentored Stephanie Hilferty, she said. The New Orleans delegation watches out for one another as well, Moreno said — especially in an environment in Baton Rouge where the entire state is often happy to divide up revenue generated in New Orleans. While no one has yet publicly announced a bid for Moreno’s seat, speculation has already begun around two somewhat high-profile candidates, City Planning Commission chair Royce Duplessis and former WDSU anchor Camille Whitworth, who would follow in Moreno’s path from broadcast journalism to state politics. 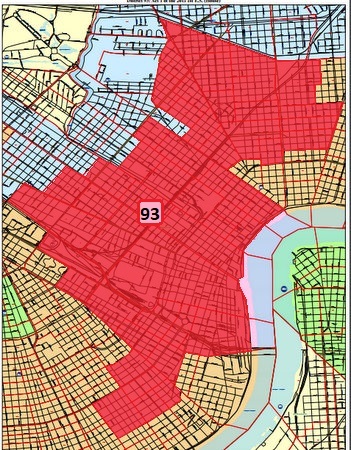 District 93 stretches across much of the central part of New Orleans, including precincts in the Garden District and Central City, the Central Business District and the French Quarter, Treme and the Seventh Ward.